You may have noticed that I featured Yuli Skincare quite often for the past few weeks, and you know what? It will probably happen more in the future. Before I tried any of their products, I read several glorious reviews for their products and noticed that even the most selective people in the green beauty community gave Yuli their stamp of approval. Among the reasons for their popularity are the purity of the ingredients, wisely and sustainably packaged products, and most importantly–the results. 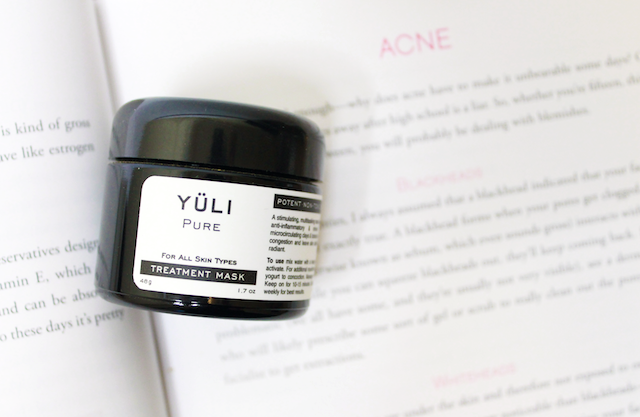 In my last post I told you that I started to use the Pure Treatment Mask and I do not think that I have ever used this word before on this blog, but I am slightly “obsessed” with it. To the point that I anxiously wait for those 4-5 days to pass (can’t wait a whole week, no!) so I can use it again. I would like to use it more often because I like the way my skin looks afterwards, but since my skin is very sensitive in certain areas of my face, I think that it is better not to over-do. 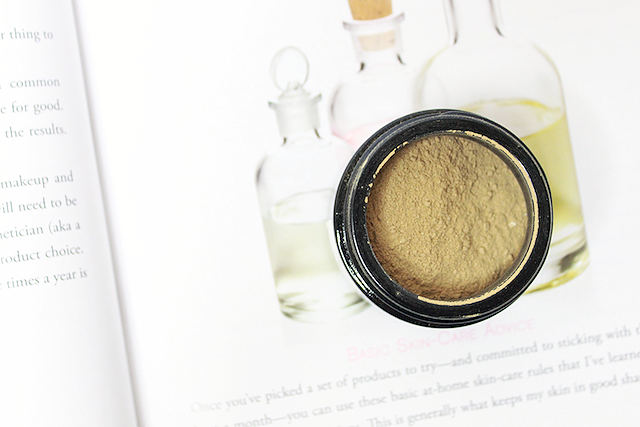 The mask comes in powder form, has an earthy yellow color and a very delicate, almost undetectable, flowery scent. The powder form, which allows the formula to be preservative-free, requires to be mixed with water. When in contact with water, the mask becomes active. Some people like to mix it with yogurt and/or honey, but I do love it just the way it is when mixed with water, (I am a fuss-free type of gal, so the easier = the better). In case you wanted to see a creepy photo of me wearing it, feel free (at your own risk and with no kids around) to see it here. I mix about a tablespoon of powder with the same amount of water with a flat foundation brush until it becomes smooth. Next I apply the mixture with the same brush. I keep it on for about 10-15 minutes and then rinse it off with lukewarm water. As far as quick, visible results, I find that this mask “awakens” my complexion. It feels like it stimulates my skin, yet it is not harsh. Other than the immediate stimulating effect, I have noticed that my blemishes start to heal shortly after the treatment. The last time that I used it was two days ago, when I had a few whiteheads and a full-blown, nasty blemish on my chin (my chin kindly informs me when it’s PMS time). After I rinsed off the mask the big blemish turned into a red spot and became almost invisible the following day. This product is gluten-free. NOT vegan, contains MILK. After I wrote about how this mask stimulates my skin, I actually read that it is meant to be a collagen-stimulating mask (you can find it in the description of the product). 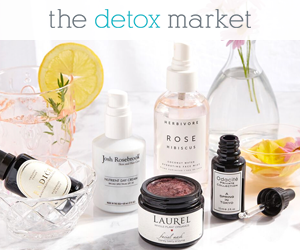 The formula includes a four wildcrafted detoxifying clays including zeolite, which some people take internally to detoxify the body; some anti-inflammatory and damage repairing ingredients (hence the quick healing of my blemish) like the Mung Bean Powder and the biophotonically charged Matcha (source of powerful antioxidants); fruit enzymes to gently exfoliate (without physical scrubbing). I am now waiting to see if using this mask in combination with another Yuli product that I recently ordered is going to help with lightening my pigmentation. I would love if my skin could look more even in tone and I will definitely write an update later on. In the meanwhile, I am enjoying the rejuvenating and healing results that I am experiencing, and I look forward to seeing more benefits from using this mask. Available at the official Yuli Skincare store.